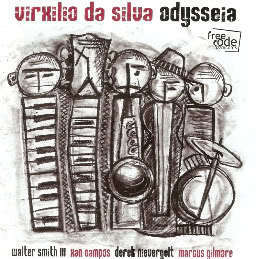 Guitarist Virxilio da Silva releases his new album titled Odyssei and what an odyssey it is. First song “2701” finds bassist Derek Nievergelt all over the board with a frantic bass line. 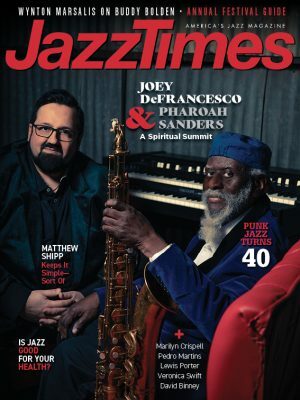 This gives tenor saxophonist Walter Smith III a chance to play some bop lines. Along with da Silva and Niervergelt and Smith are Xan Campos on Fender Rhodes and Marcus Gilmore on drums. Though throughout the album, it does sound like Smith does hit some sour notes and for some reason left them in. This could be on purpose, one does not know. Again with some what appear to be left on errors on bum notes, “Warszawa” allows Xan Campos a chance to show his skills on Fender Rhodes. A nice Rhodes solo holds the track and sets it apart from just being another fast paced run through. On “14-15” Gilmore, is steady. His fast percussive beat does not dominate this track or anywhere else on the album. Guitarist da Silva plays some magnificent lines. Sometimes sounding like a sped-up Joe Pass is a good thing. “The End of a Love Affair” is a prime example of that. Virxilio da Silva allows his fingers to do the talking for him. None of his chord progressions are too fast nor are they too sloppy. Guitarist Virxilio da Silva has released a fine album, aside from the left in bum notes. There are pictures of everyone who plays on the album on the inside cover and there are footprints that walk in between and behind the pictures. Luckily for Virxilio da Silva and his album Odysseia no one steps on anyone for their own musical gain.